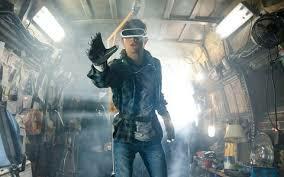 The future is bleak in “Ready Player One,” based on Ernest Cline’s book of the same name. It takes us to Columbus, Ohio, in the year 2045, when the world has taken an ugly turn to be litter-ridden, unsafe and poverty-stricken. The prize? Halliday’s fortune and OASIS itself.